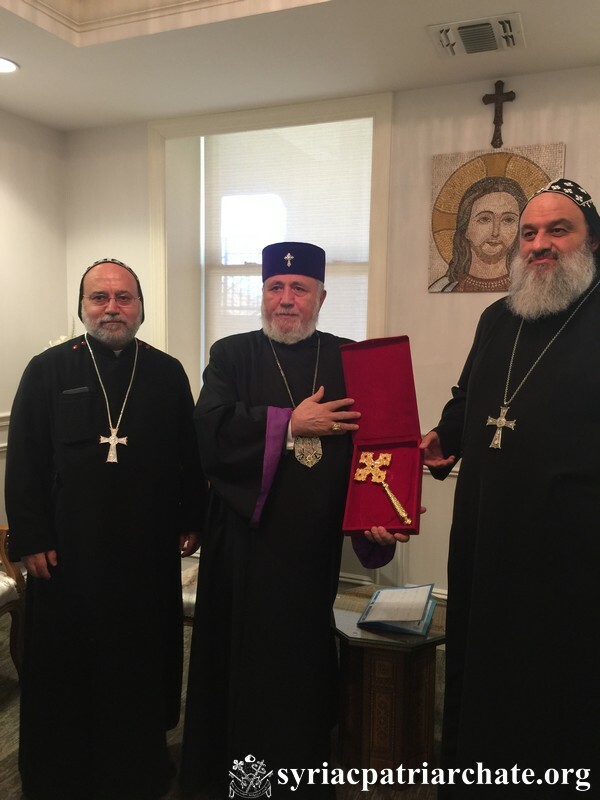 His Holiness Patriarch Mor Ignatius Aphrem II received His brother in Christ Catholicose Karekin II, Catholicose-Patriarch of All Armenians, at Mor Aphrem Center in New Jersey. Their Eminences Mor Dionysius Jean Kawak, Patriarchal Vicar of the Archdiocese of Eastern USA, Mor Titus Yeldho, Metropolitan of the Malankara Archdiocese of Northern America and Mor Silvanus Ayub, Archbishop of the Knanaya Archdiocese in America and Europe, were also present at the reception. His Holiness Catholicose Karekin II was accompanied by their Eminences Archbishop Khajag Barsamian, Archbishop Oshagan Choloyan. 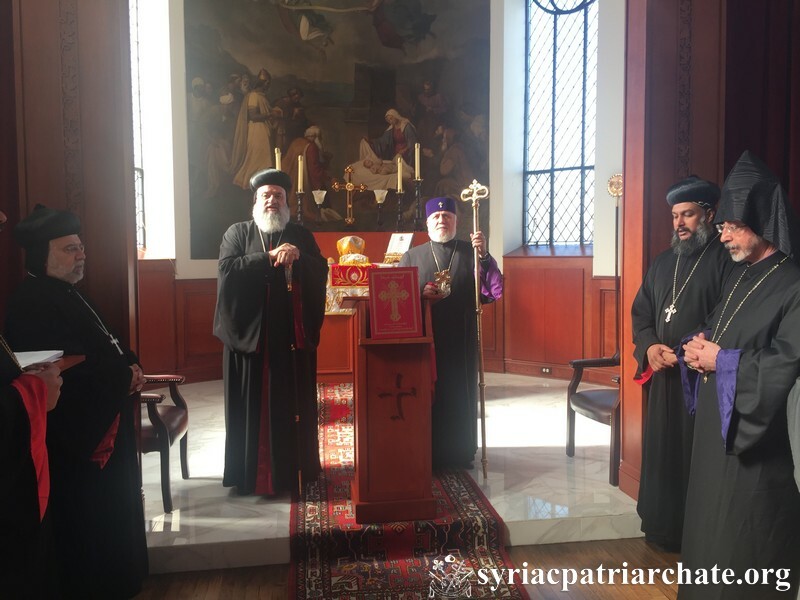 His Holiness Patriarch Aphrem II and the archbishops and clergy of the Syriac Orthodox Church welcomed His Holiness Catholicos Karekin II and the accompanying delegation. 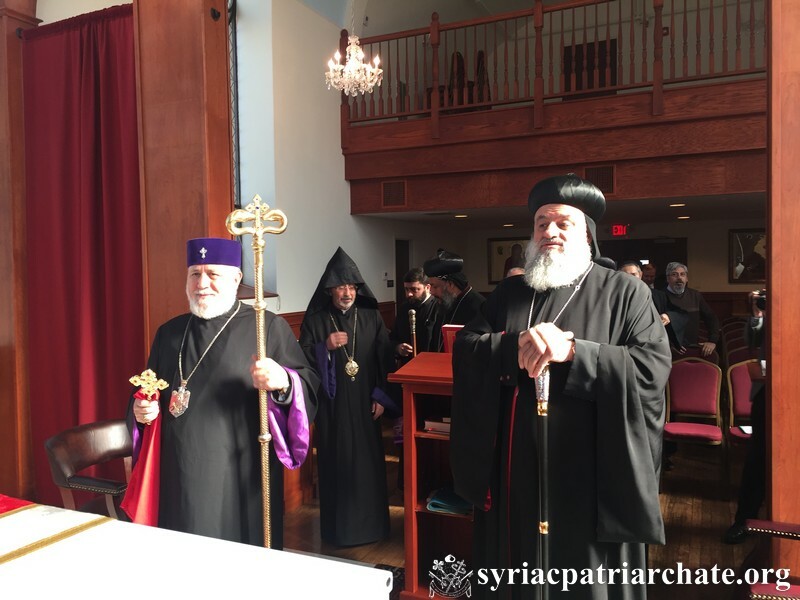 The clergy sang the special Syriac hymn of the reception of the pontiffs. The two pontiffs then headed to Mor Aphrem Chapel where the midday prayer was conducted. His Holiness Catholicose Karekin II gave the final blessing in Armenian. 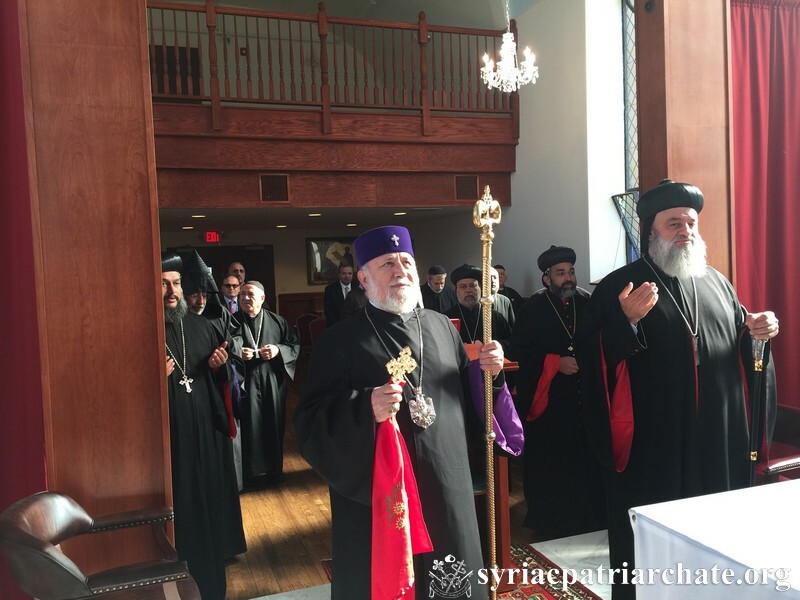 In honor of His Holiness, a formal reception followed the prayer. 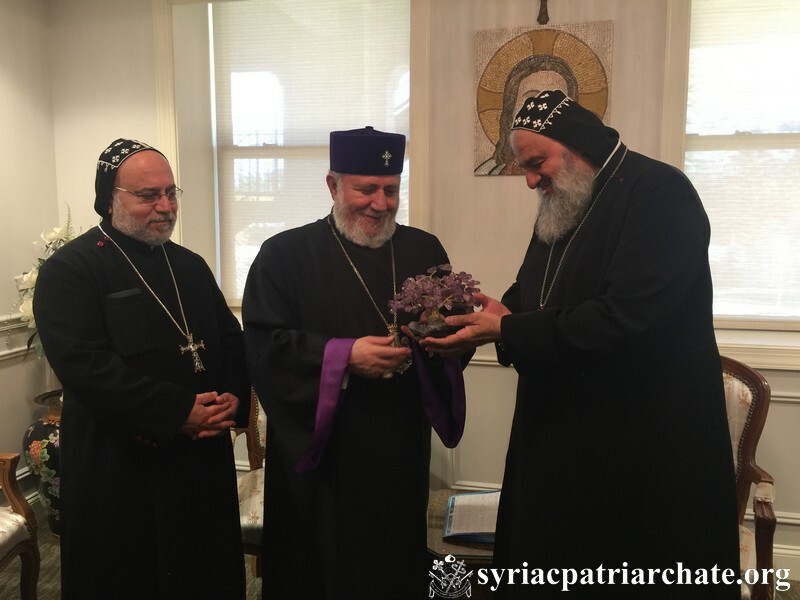 His Holiness Patriarch Aphrem II spoke about the joy of meeting his brother in Christ and receiving him at Mor Aphrem Center. 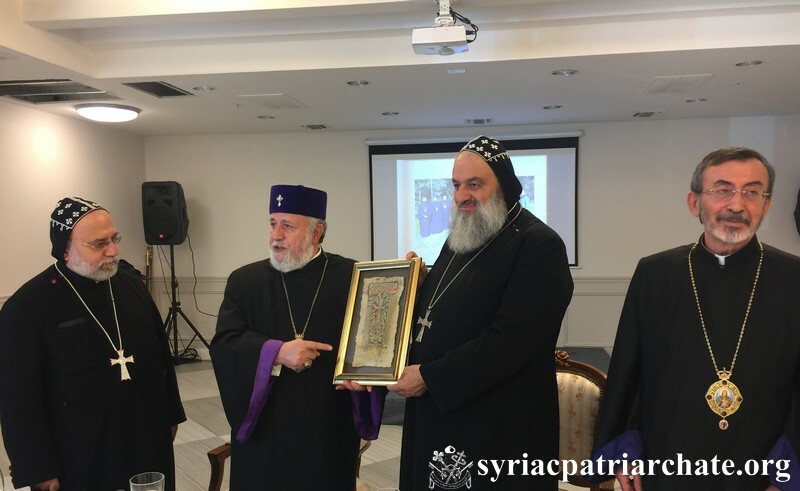 He spoke about the history of the good relations between the two sister churches: Syriac Orthodox Church and Armenian Orthodox Church. 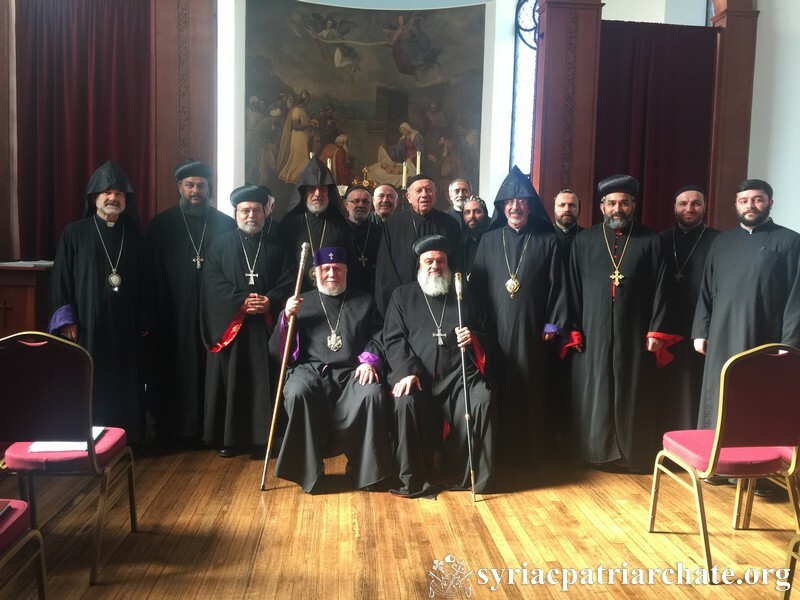 His Holiness also mentioned the shared martyrdom that the clergy and faithful of both churches had gone through at the turn of the twentieth century. At the end of the reception, the two pontiffs exchanged gifts as a sign of brotherhood and unity. 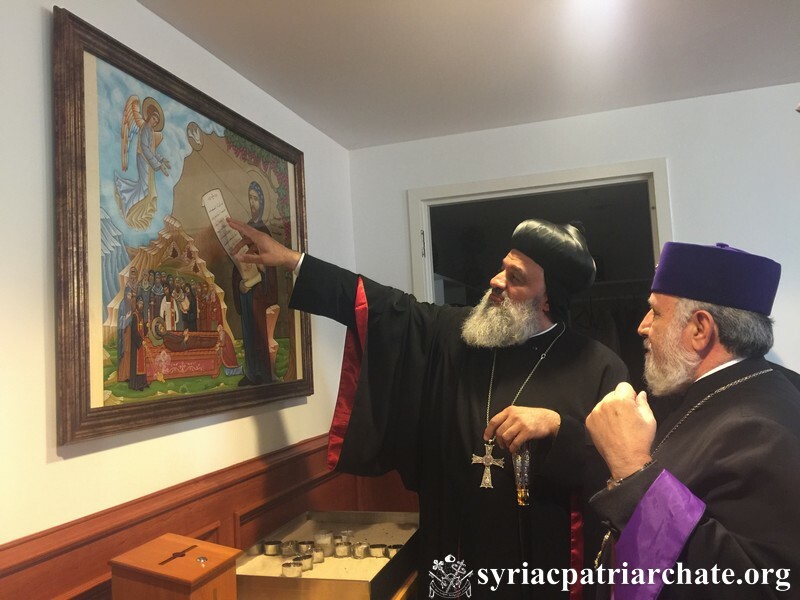 This entry was posted in Featured News, News and tagged Archbishop Oshagan Choloyan, Eminences Archbishop Khajag Barsamian, His Holiness, Mor Aphrem Center, Syriac Orthodox Church by Orthodoxy Cognate PAGE. Bookmark the permalink.